Located in the neighborhood of Halesite, Huntington New York. 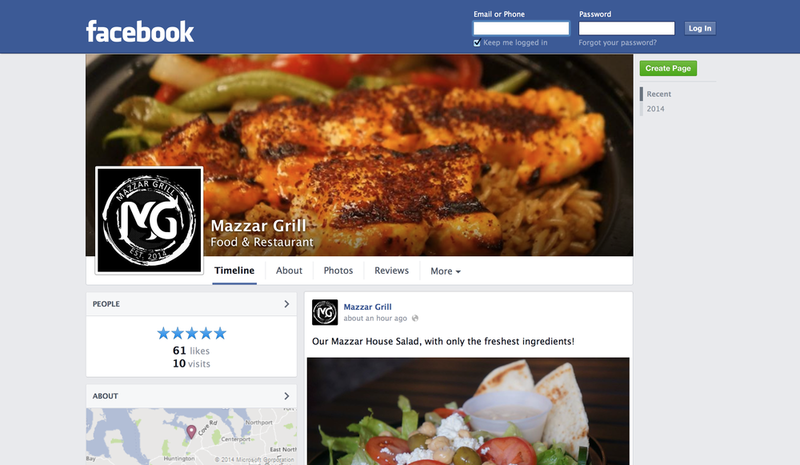 A purveyor of fine Middle-Eastern dining. 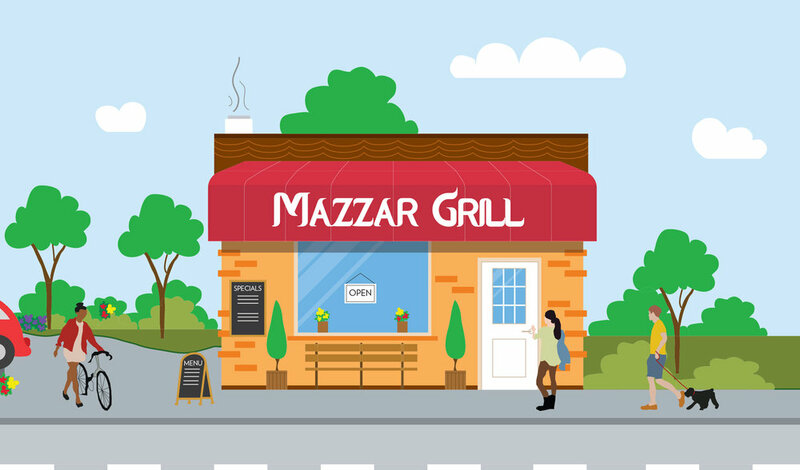 Mazzar Grill is a family owned and run take-out restaurant serving delicious food, using our famous family recipes. 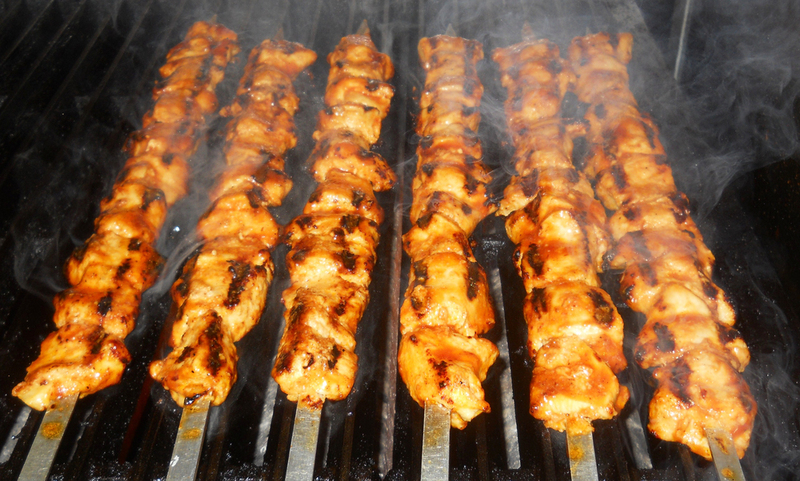 Mazzar Grill's dishes are prepared using classic ingredients and techniques from the Middle-East that add a great kick of flavor essential to classic eating. 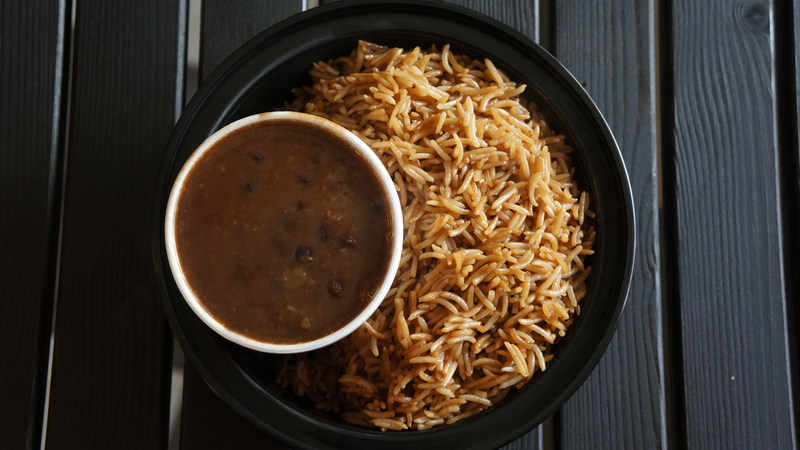 Everything we serve is homemade and made with love. We serve our food with Honesty and Goodness. 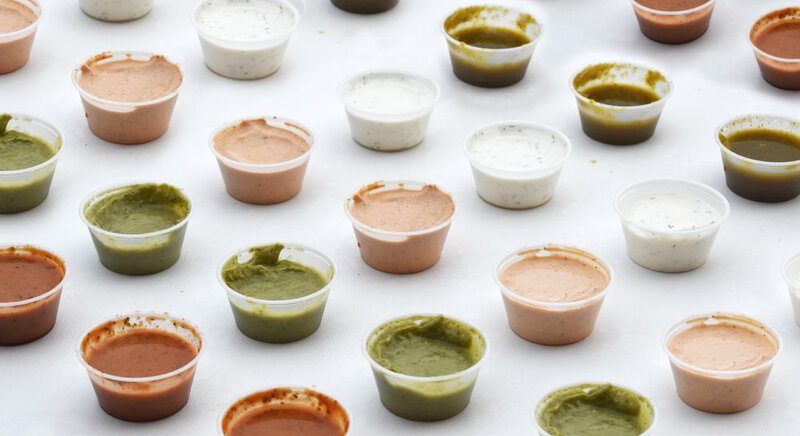 Everything is made fresh everyday using the most wholesome ingredients to serve you better. We never use any frozen products. 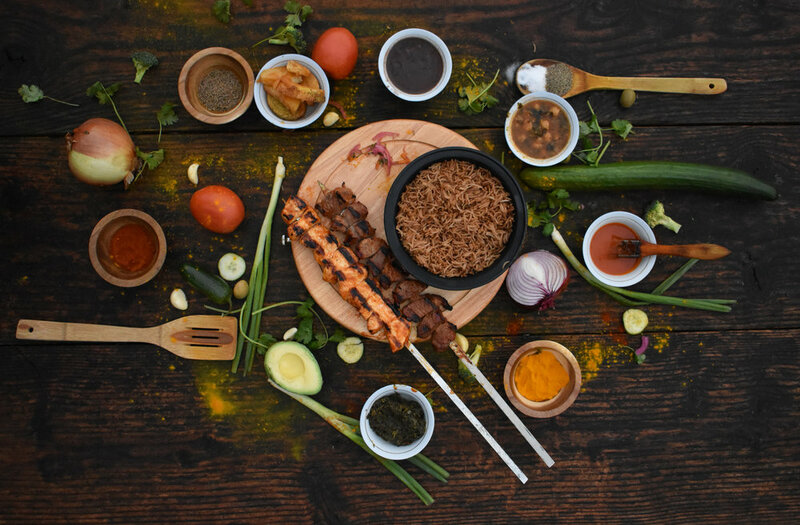 Mazzar's in-house marinade is made up of a unique blend of spices inspired by Middle-Eastern influences. 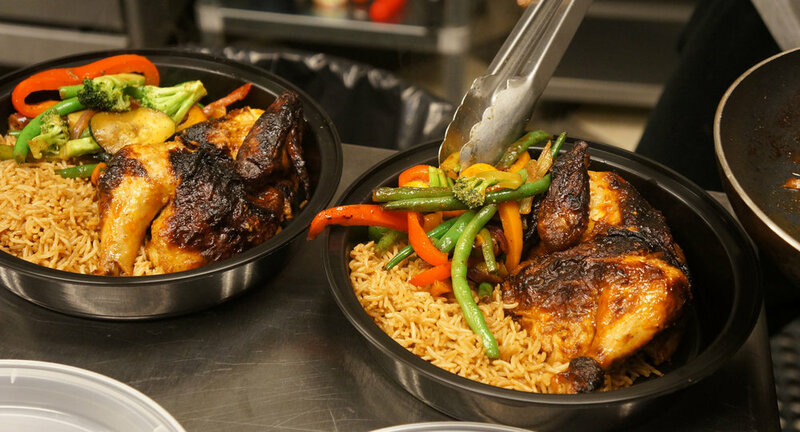 Our signature rotisserie chicken and kebabs are left to marinate for 10-12 hours prior to cooking, to ensure a great flavorful dish. Marinated chicken steamed over sauteed onions, garlic & tomato sauce. Served with hot pita bread. Squash steamed over sauteed onions, garlic & tomato sauce. Served with hot pita bread. Potato garnished with herbs & spices, and a splash of pomegranate juice served with hot pita bread. 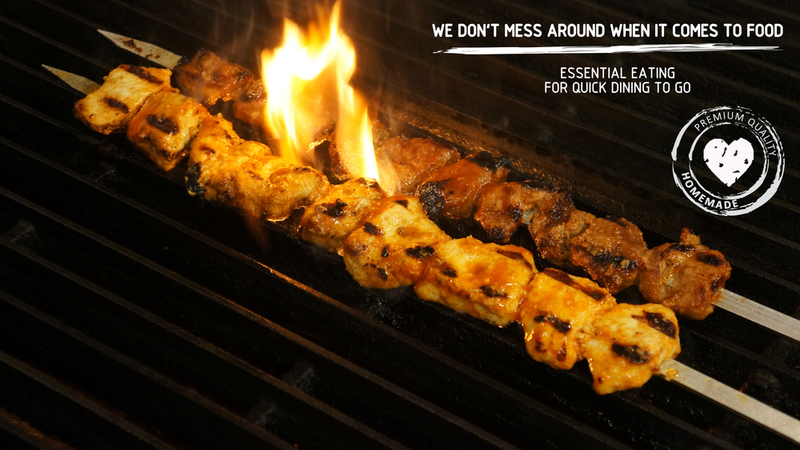 Steak skewered and grilled just right, served with your choice of two sides. Seasoned over sauteed onions, garlic & tomato sauce. 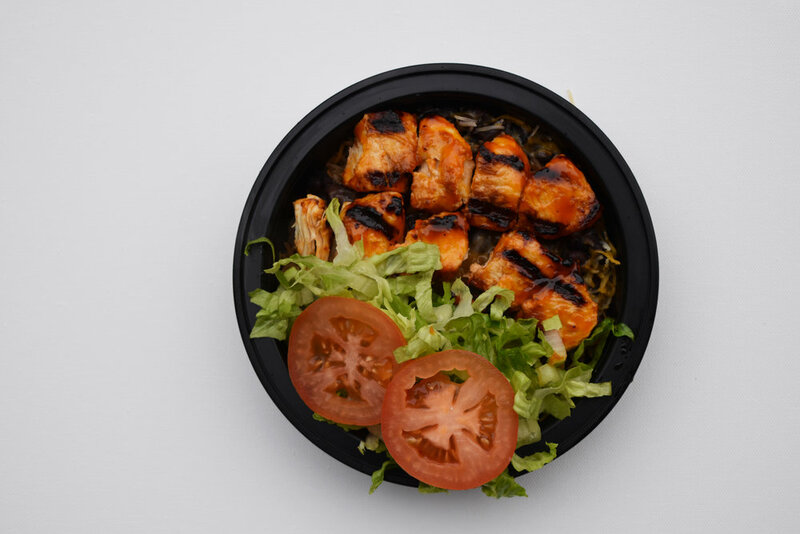 Served with your choice of 2 sides and hot pita bread.